In business, it takes flawless product development and project management to stay ahead of the competition. Excellent project management and process improvement can have a dramatic effect on the success of your company. A highly trained staff can increase your chances for completing projects on time and on budget by 59%. Developing PMs is one of the most important things you can do to speed up business success. Here is how we can help. Our “in-house program” for small teams will work with you to develop a custom program that fits your needs. Pull your project team together for a comprehensive session focused on improvement, teamwork, and communication. We bring our instructors on-site to teach small teams of 10 up to 50 or more employees. We teach your team with top instructors using the best materials in the industry. We have over 10 years of experience helping project managers develop their skills. Let us bring our knowledge and expertise directly to you to help your entire organization thrive. See a list of project management and business skills courses we teach. "Thanks PMA! You provided all the tools necessary to pass the exam. The instructor taught the class with enthusiasm and gave real-life examples to tie in the material. 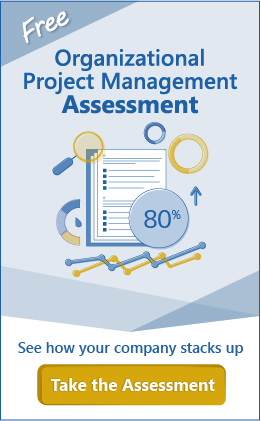 I highly recommend this course for anyone looking to pass the PMP quickly." "Our team uses what we learned in the PMA course every day to improve our project success"
"Everything went well with our PMP classes and all the students had nothing but compliments about the class. Thanks for bringing this course in-house for our team." We have worked with some of the top companies in the world. See a full list.